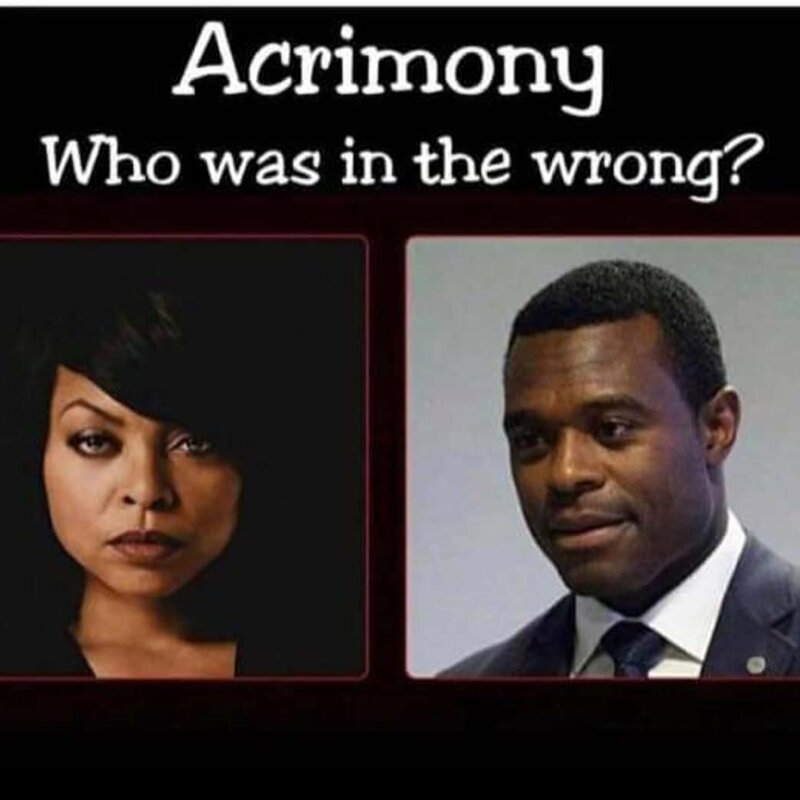 Today, I will be sharing with you about the life lessons I got from the physiological thriller titled “Acrimony” written and produced by the phenomenal and outstanding producer and entertainer Tyler Perry. The movie was centered on a young lady called Melinda who loved her man so much, his name Robert. She believed in his dreams even when it sounded so foolish to everyone around her especially her sisters. She gave her all to the man and labored with him but somewhere in between she assumed he messed up because of what she heard from her sisters and judging from what he had done in the past she believed her sisters that he was cheating, she decided to divorce him on the account of infidelity but after the divorce the guy’s dreams came to a big reality. He appreciated her labours by giving her some money and got her the house she inherited from her mother that was mortgaged during the course of their marriage’s financial distress. Robert moved on too, he fell in love with the woman who stood by him when Melinda left but the only problem was this, he gave to this woman all he promised Melinda, all the dreams they shared another woman inherited it and that in turn angered and embittered Melinda so much that she ended up almost killing Robert and she lost her life while trying to kill Robert and his new wife. I’ve heard people ask questions about who should be blamed is it Melinda or Robert or her sisters? I’m not writing this article to give you a detailed review of the movie, please permit me to say they all played a part and each of them had their own faults. I wrote this article to share with you the life lessons I got from watching this movie, I’m not much of a movie freak but when I watch one it better be worth my time, don’t mind me I could be weird sometimes, I still ask myself what I do for fun? 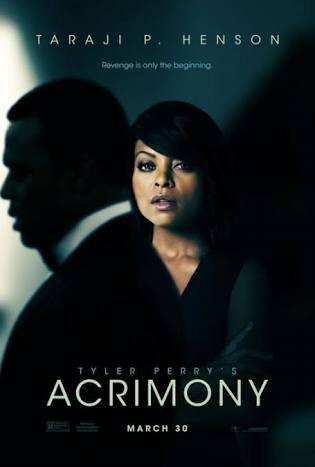 Let’s talk about me another day but today let’s discuss the lessons I got from watching Acrimony. 1.Never marry in the name of love alone: Don’t get me wrong, love is very important but beyond love you need to ask some serious questions. Can you deal with his character? Is he faithful? How does she react when she is angry? Is she sincere? Do you fight regularly? Does the fight turn nasty and physical including breaking of stuff? Is it all about her, or about your future together? Is it all about the wedding or about marriage? Does she have time for you? Is she still shopping, on the lookout? Can you trust her? Is he caring? Is he hardworking? Is it all about him? Etc. the signs are always there but we choose to ignore them all in the love. Melinda caught Robert cheating while they were still dating and in turn she got so mad and she decided to destroy his house with her car but she lost her womb in the process so she can never have a child. Robert came back to apologize and they moved on, the only thing Robert could give her was his dreams, there was nothing else, she had been sponsoring the relationship right before they got married and the fact that her family did not support their union should cut her a slack but they were both in love and nothing else mattered. Courtship is the best time to date intelligently while marriage is the time to love blindly, while you are courting let your brain be active. The logical reason they both had for marriage was love and unfortunately, love is not enough. Love is important but it is not the only reason. 2.Responsibility is very important: One major duty of a man is responsibilities, a woman was designed to be a helper. When a woman becomes the only person handling the responsibilities of the home then the role has been switched, I know life happens sometimes and probably the man lost his job or money is not forthcoming but what matters is the fact that he has a heart that wants to take responsibilities. Robert had a dream but it was not bringing in money he could get a job to support his wife while he still pursued his dreams but instead he left all the responsibilities for his wife and she had to work two different jobs, that is enough to frustrate any woman. It is okay to have a vision but vision can’t fill the stomach, you need to earn as you pursue your vision. 3. You can’t rule out your family: Your family is very important and it’s one unit you shouldn’t be quick to throw away because you met someone you love. Whoever you are dating should not separate you from your family, he/she shouldn’t be comfortable about marrying you without your family’s approval. The truth is if they say No initially, there are better ways to make them understand. Getting married without the family’s approval was a mistake Melinda and Robert made, Melinda’s sisters never approved Robert but they got married anyway and Melinda had to work so hard to prove to her siblings that she did not make a mistake. You can’t erase the place of family. 4. Beware of manipulative people: some people are so manipulative, they will manipulate you for money in the name of love, they are always demanding and their needs will never come to an end. Be discerning, marrying a manipulative person is dangerous. Robert was manipulative, he had his way around Mel at the end of the day she spent all the money her mother left for her after she died on Robert and even mortgaged her mother’s house, and he manipulated her into doing all that. 5. Patience is a virtue: Success requires a dogged pursuit, you can’t afford to give up easily. You just have to keep trying and patience is a virtue that helps in making marriage work, after all, love is patient. Melinda had labored so hard to build a man’s dreams but impatience cost her a life of affluence. Robert asked her to be patient before filing a divorce but she felt she can’t deal with it anymore and what she did not know was that her man was close to his breakthrough. Patience is a virtue you need to possess to build a good home and even the life of your dreams. Do not make hasty decisions, time is always a revealer of things. 6. It is your marriage: People would always have contrary opinions and you need to stand by your choice. You can’t blame anyone for the consequences of your marriage choice. You need to take responsibility for the partner you choose. It is your marriage and what happens in your home should stay in your home. 7. Tame the beast called ‘anger’: Anger is a deadly emotion and if you can’t control it, it is deadly! Don’t make a decision when you are angry, calm down first. Melinda allowed her emotions have a upper hand in ruining her marriage, when her sisters came to tell her that Robert was cheating that was not the best time to fight him and file a divorce, if only Mel had listened to him and was patient things would have ended differently. She lost her life to anger. Anger does nothing but serious damage. If you have not seen Acrimony, please do and read this article again. If there was a lesson you learnt in the movie and I have not shared it, please do well to tell me in the comments session, you never know who you are helping. It talked about real points. Although I disagree with some. On the aspect of manipulation. I don’t think Robert manipulated Melinda. Remember that this story was written from her own point of view and she was already crazy right from the beginning of the story, besides she won’t say she did the things she did with her own self preservation in mind. Why did she marry Robert even when she had a lot of doubts? On the wedding day, she had doubts. Why did she still go ahead? Self preservation. She had lost her womb. She knew few men would marry her if they knew that she couldn’t give birth to children. But Robert was ready to marry her that way. She hated him before she got married to him. But she had to get married to him, in her mind, she lost her womb because of him, so he had to be stuck with her. After the marriage, she had to keep spending her money, to keep her family from knowing what was going on. If you remember, she didn’t really believe that his battery would work, but she kukuma married him like that. She financiallly and emotionally manipulated Robert. She tied him down with her lost womb and the money that she had spent on THEIR marriage. The movie has a lot of extreme to me. Onome Omodara, thanks so much for the post.Much thanks again. Really Cool. The third party played a major role too cos I think if the sisters weren’t there… Robert would have been able to convince Melinda to remain in the marriage… She had always listened to him….